This kit contains the 18 components you need to repair your dashboard cluster Renault Scenic 2 or Espace IV. 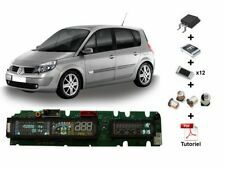 Repair kit for cluster Renault Scenic 2 or Espace 4. The repair is fine at the beginning, and then the cluster fails again only a few weeks after! Sonda bosch lsu 4.9 inclusa. - codice AEM 30-0300. RED SEAT CUPRA LOGO MIRROR DECALS / STICKERS / GRAPHICS x 4. ALL AVAILABLE COLOURS ARE SHOWN IN FINAL IMAGE. There are 2 ways to send your colour choice. add colour choice and send. ALL DESIGNS CAN BE MADE IN A SINGLE COLOUR. See our colour chart by scrolling main display pictures. They are simply the best quality vinyl money can buy ranging from 4 to 7 years on internal and external use. Our vinyls will stick to any smooth and non porous surface. 2x Ohlins clear stickers. These are full colour, outdoor suitable stickers and are produced on outdoor grade gloss or semi gloss vinyl of either 75 or 100 grade. Outdoor use solvent inks are used throughout for long life and fade resistance. 2x Ampoule 12V 10W BA9S 2x Bulb 12V 10W BA9S Culot : BA9S. Idéal veilleuse BMW (E60, E90, 350D. ). Puissance : 10W. 3D Carbon Fiber Vinyl Sheet, self adhesive stickers. Common use,fit for car used, motorcycle parts,such as roofs, hoods, trunk lids, wing covers, bumper. Need sharp utility or xacto style knife,squeegee, blow dryer, or heat gun to install. Vinyl Car Sticker Size 105x130mm approx. Printed onto a white premium quality exterior grade 7-10 year vinyl. To fit clean and degrease car, peel and stick. (simple instructions included). Remove out the original rubber cover of pedals, product Easily Installtion, NO need of drilling.no need of welding. -Colour will not fade. Color: silver. -attractive appearance. -High quality material is durable in use. Roof Techo Short, Corta. Kurz, Stubby, Bullet. 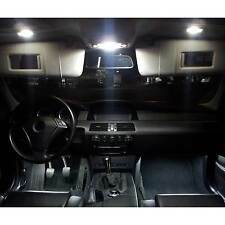 It will also fit other makes and models with a similar rear roof aerial requiring an M5 thread but you will need to satisfy yourself as to suitability. Punisher Skull Logo Decal. Colour: Matte Silver. Die cut decal with no background. Bar Code stickers/decals. SALE IS FOR 2 x 100mm x 31mm BAR CODE STICKERS/DECALS. MADE IN GERMANY. BLACK - RED - YELLOW on BLACK. D'une qualité exceptionnelle grâce à son épaisseur de 170 microns (0,17 mm), sa prise en main est parfaite pour le Covering intérieur ou extérieur. FILM CARBONE TEXTURE 3D GRIS ARGENT. Qu'à cela ne tienne ! 12342XV BW. art. 12342xv b1 - 12342xvxb1. Tipo di lampada: H4. Fino al 130% di visibilità in più. Questa caratteristica elimina il rischio di esplosione. Fari per moto. Vi ringraziamo per la comprensione! Lot 4 sticker bmw M. - Pour: jante volant tableau de bord etc. - Taille 16 x 7mm. Black RS6 Grill Badge A6 S6 RS S Front Grille. RS6 Grill Badge / Emblem. Exclusive Black RS6 Grill badge. 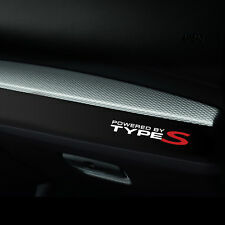 Suitable for all Grill models such as all S6 grills and RS style Honeycomb grills. Emblem Decal Sticker Logo Sign. Audi Sline front grill badge. • There may a slight deviation in colour of actual product due to lighting affect when taking photographs. • orders before 5pm BST. Further Information. Suitable For W164 ML Models. Unsure On Suitability?. Can't Find What Your Looking For?. FIAT PANDA DAL 2003 IN AVANTI. CON SPECCHIO. DESTRA = LATO PASSEGGERO. PRO D O T TO. VW 4 MOTION LABEL DECALS / STICKERS / GRAPHICS x 4. ALL AVAILABLE COLOURS ARE SHOWN IN FINAL IMAGE. These have been designed to fit any VW. There are 2 ways to send your colour choice. add colour choice and send. Colore: Nero Lucido. Il prodotto è nuovo. Voyants "Airbag" "Service" qui s'affichent sur le tableau de bord. Si vous le désirez, le câble 7 pins connecteurs ( déjà soudés )est aussi disponible. Freistehend ohne Hintergrund (Einfarbig). Angabe: für Außenanbringung oder Spiegelverkehrt (Scheibeninnenseite). Folieneigenschaften bei fachgerechter Verklebung -Farbecht, UV- und Waschanlagenfest! The list can be the choice of 3D Plakettes stickers (A, B, C, D, E, F, G, H.) Plakettes Stickers are given only for comparison purpose. F - Green = 2000 / 2006 / 2012 / 2018 / 2024. E - Pink = 1999 / 2005 / 2011 / 2017 / 2023. COPPIA DI 2 ADESIVI DESIGN GIUGIARO. MATERIALE: SILICONE. You will receive a high quality vinyl sticker in one colour of your choice. The sticker has no background and applied directly to the surface to produce a professional effect. You have a number of colours to choose from. Logo Mini Cooper en métal a coller a l' avant ou l' arrière de votre véhicule. IMPORTANT : Je n' expédie pas aux DOM TOM. Z.B. für VDO, Ladedruckanzeige, Volt, Öldruck, Öltemperatur usw. veredelter Stahl, Schwarz matt Plastpulverbeschichtet. Non ci sono pulsanti per resettare i token il nuovo kess funziona per tutta la vita senza bisogno di riscrivere il file binario. N.B. TEMPI DI LAVORAZIONE UN PO PIU LUNGHI PERCHE STO PROGETTANDO DEI NUOVI PCB. E motore di gestione dati, ecc. Allo stesso modo include schemi per sistemi di climatizzazione elettrica. - Schemi di cablaggio dell'Aria condizionata. e riparazione, dati di regolazione, disegni tecnici, fusibili e relè, codici diagnostici di guasto. T10 12V 5W. 10 PEZZI = 10 LAMPADINE. ANTERIORE: LUCI DI POSIZIONE.